Clár IRD operates Claremorris' Visitors Information Point, with the assistance of Clár IRD's FÁS Community Employment Scheme. 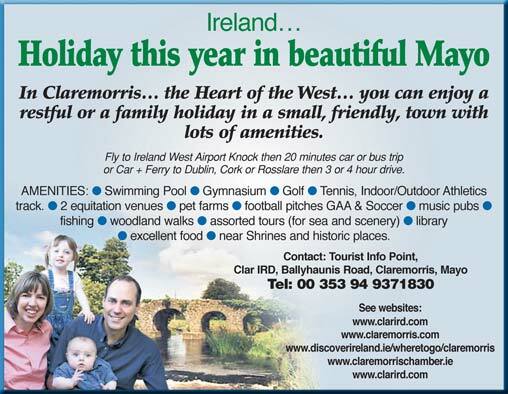 Advisors are available to ensure that visitors are provided with information and a range of services that will enable them to enjoy the Claremorris area. In addition to providing free services, we also offer a range of products and services free and saleable literature, maps and travel guides.